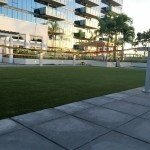 Artificial Grass AirDrain Drainage, nothing drains better than air ! Here is the ASTM D4716 Flow Rate per Unit Width and Hydraulic Transmissivity Testing for actual drainage capacity, at a .005% slope. AirDrain will actually drain 2 inches per minute. No other product comes close! The AirDrain Drainage Systems 100% vertical and horizontal drainage capabilities eliminates the need for traditional base drainage systems, such as herringbone trenching or flat pipe etc. only needing perimeter or exit drains. 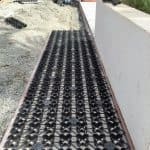 AirDrain geocell has patented expansion and contraction connectors built into the part and can add valuable LEED points to any green roofing project. With a unique and extremely easy to install assembly design and 100% post-manufactured recycled content. Lightweight at only 3.1 pounds per 7 sqft., with a rating 33,552 psf. AirDrain is the ideal drainage medium for rooftop applications whether decorative or in constant use. Move water rapidly or capture it for retention with AirDrain 92% air void and 400 drainage notches on each side of the part, it’s easy. Here is the ASTM D4716 Flow Rate per Unit Width and Hydraulic Transmissivity Testing for actual drainage capacity, at a .005% slope. The AirDrain will actually drain 2 inches per minute. No other product stacks and ships more compactly, reducing the number of trucks and the amount of fuel required to transport to the green roof job site typically to 2 trucks. Learn why an AirField™ system is right for your project. Call us now at (405)359-3775! 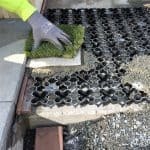 AirField Systems™ provides the ultimate porous paving and drainage solutions for modern green building. 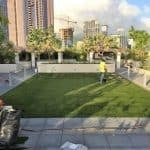 We would love to discuss your grass paving, sports, golf, green roofing, K9, playground, no infill or any project you have. Call us today at (405) 359-3775 or email us at michaelb@airfieldsystems.com or tparker@airfieldsystems.com to learn more. 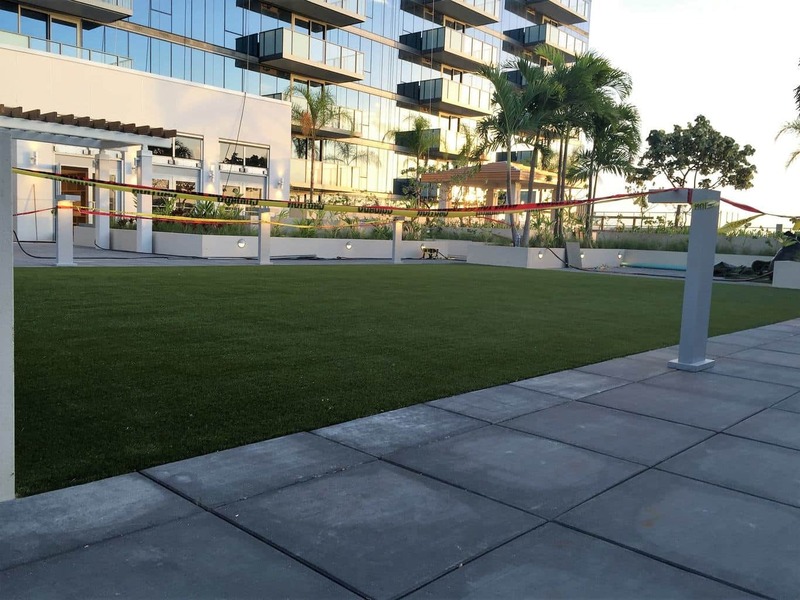 AirPave™ and AirDrain™ systems are the ultimate drainage solutions for modern green building, and we would love to discuss your grass paving, sports, golf, green roofing, K9, playground or no infill project. COPYRIGHT © 2018 AIRFIELD SYSTEMS. ALL RIGHTS RESERVED. Please tell us how to contact you, and we’ll give you a call back now.